The IAPD coordinates Flying 4 Kids kite fly events during April and May. 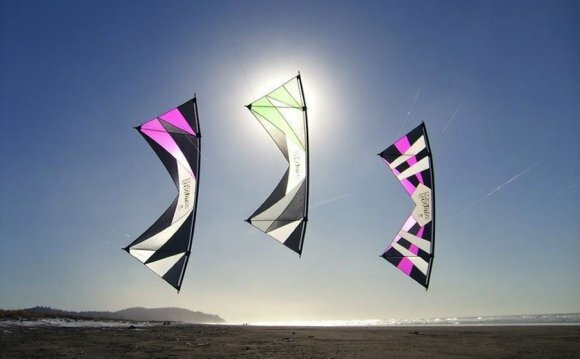 This statewide kite fly enlists the promotional assistance of the American Kitefliers Association and attracts thousands of families, kite enthusiasts and media at park districts, forest preserves, conservation, recreational and special recreation agencies throughout the state. The goal of the kite fly is to raise awareness of the Park District Youth License Plate, which features a colorful kite, a symbol of youth and recreation. Twenty-five dollars from the sale and subsequent renewal of each plate is placed into a special grant fund for youth beyond-school programming at Illinois park, recreation and conservation agencies. Kite flies are held in April and May and is attended by approximately 6, 000 to 10, 000 people statewide. Flying 4 Kids attracts the general public, kite club members, elected officials, media and professional staff at Illinois park districts, forest preserves, conservation, recreation and special recreation agencies. Your company can be an Event Sponsor of the statewide kite fly held during April and May at multiple locations throughout Illinois. Company may offer product sampling and display at agreed sponsored event site. IAPD will coordinate this activity with company representative. Company logo included on signage at agreed event location.